Unlimited Hydroplane Mod, trying to create a good representation of Unlimited Hydroplanes in rFactor. 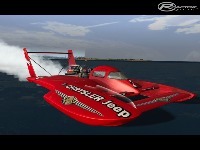 2007 ABRA Unlimited Hydroplanes are underway. I will be creating most if not all 14 boats set to run this year. Hey everyone, there's been quite a lot of progress since I last updated this. For starters the 5 minute clock has been finished up, many, many boats have been added. 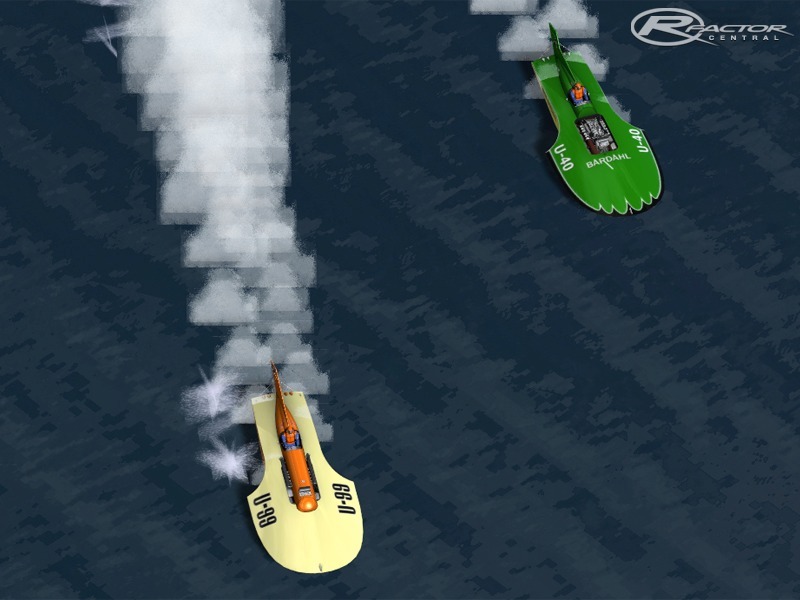 The Unlimited Hydroplane League is under way, unfortunately we still only have 1 track to race on at the moment. Boat physics are still not quite 100% complete, but are getting there. The biggest update so far is the new Automatic Updater I have created. To download install the mod, save the installer/updater below to your desktop and run. The .NET 2.0 Framework is required, I have posted the link to download that as well in case you don't already have it. Once you run the installer, select your rFactor directory and click start. It will automatically download the latest version of the mod for you. Once you have the mod installed, everytime you launch rFactor with the Hydroplane Mod selected, it will automatically check for updates. If an update is found, rFactor will exit, and the updater will be launched. Due to an issue with the rFactor Dedicated.exe I have included a command line parameter you can use to bypass checking for automatic updates. If you're going to use rFactor Dedicated.exe you must use this. It can be used with other parameters like +fullproc and trace with no problems. Quick update: this mod is essentially dead. It is no longer in development in favor of a completely new game that Scott is creating which is currently in a functional alpha stage. I just payed 27.99$ to play this mod and it inst even playable. Buzz off. I cant download from here, nor the website. Never have I seen such a HARD process of acquiring a mod. Found the issue, just remove the HydroplaneMod.dll file in the Plugins folder. 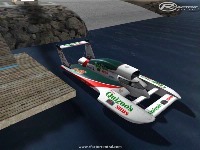 You can just move in and out as you want to race Hydroplanes (which is an awesome mod by the way). Can someone please post here, how do you remove the clock, countdown timer!?!?! I downloaded this mod and now if i play any other series it wont count my laps for the first five minutes in a race. obviously as a result of tis mod, how can i fix this?